One of the essential parts of your home or office that may not get the kind of maintenance it needs is your floor. People tend to ignore the fact that floors actually suffer from damage over time. Even when your floors are made of durable materials, they can deteriorate and require extensive repairs when not properly maintained. Solid hardwood – There are several kinds of hardwood floors, but each requires the same general care and maintenance. Whether your floor is made from oak, cherry, maple, walnut, or beech, it is essential to keep them clean while avoiding ammonia-based cleaners and other acidic cleaners that can damage the wood. Regular cleaning means sweeping with a soft-bristled broom, mopping and dry-mopping twice a week with a microfiber mop, and polishing with the use of an eco-friendly polishing substance. You should also consider having your wooden floors refinished and professionally polished every year or so. Engineered wood – Unlike solid hardwood, engineered wood is a lot easier to maintain. It is not as porous or absorbent as hardwood and is denser due to the way it is manufactured. As is the case with solid hardwood, you should avoid using acidic cleaning substances. Because these surfaces are made from composite wood, they are easily damaged when subjected to vinegar, ammonia, and other acidic substances in the cleaning process. When it comes to regular cleaning and maintenance, you can use the same routine used for hardwood. Care should still be exercised when cleaning engineered wood floors to make these last longer. Stone and marble – Stone is one of the most durable materials used for flooring. Whether you use marble, granite, or some other type of stone, you will find that these last longer than wood floors. They are also more expensive and require a bit of maintenance. Because these floors are somewhat porous even when polished, any spills on stone or marble should be wiped off immediately. Stone floors should also be cleaned with non-acidic, ammonia-free cleaning agents. It is also recommended that these be polished using only micro-fiber polishing tools. Waxing should be avoided since these don’t need it and may just result in a shine that is too slippery for people to safely walk on. When it comes to flooring maintenance and cleaning, it is best to hire a professional for the best possible results. 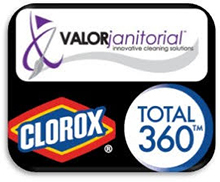 In Dallas TX, the company to trust with your floor cleaning and maintenance needs is Valor Janitorial. We can help keep your floors clean and in pristine condition with our floor cleaning expertise. We can also help you restore old tile floors to its original look with tile floor refinishing. Other flooring jobs we can do for you include floor buffing, floor resealing, and general care for high traffic areas. No matter what your flooring is, we can help you clean and maintain it. Simply contact us at 214-238-9550 to schedule a free assessment and estimate.